Upon arrival in Kigali, most newcomers visit the Kigali Memorial Centre. The memorial centre is a must for tourists and visiting family and friends and if you’ve been here for a while, chances are you’ve seen it. There’s no denying the memorial is moving and beautifully done, but that doesn’t make it a weekly trip for most of us. If you haven’t been in a while, consider revisiting. Read on to brief yourself on the details of the memorial so you can take your guests or prepare yourself to make a visit. The Kigali Memorial Centre opened its doors on the tenth anniversary of the genocide in April 2004. The memorial was conceptualized by the Aegis Trust, an organization dedicated to genocide prevention and education, in partnership with the Rwandan government. On site are archival exhibits, gardens, burial grounds, and the Wall of Names memorial. The indoor museum is comprised of three exhibits. The main exhibit is a comprehensive history of the years leading up to the genocide and the events of the massacres, including personal accounts. Texts are posted in Kinyarwanda, French and English. Photographs, video clips, and artifacts of the genocide are used to piece together the events as they unfolded. Some of it is hard to look at. This memorial, however, is milder than some of the others in Rwanda. Keep in mind, content is still graphic, so use discretion if you are hosting young ones. Another exhibit, “Tomorrow Lost,” is dedicated to children murdered in the genocide and features a series of photographs and biographies of young victims. “Wasted Lives” gives brief histories of the genocides in Armenia, South-West Africa, Bosnia, Cambodia, and The Holocaust. Outdoors are mass graves of over 250,000 genocide victims. Visitors are welcome to pay their respects or take time to reflect in any of the gardens on the memorial grounds. (Taking pictures outdoors is free of charge but there are fees for taking photos of the indoor exhibits: $100 for professionals, $20 for adults, and $10 for students and residents). There is no entry fee to view the exhibits. Audio guides are available ( Rwf 9,000 for adults, 6,000 for students, and 3,000 for members of the East African Community and residents) and are recommended. The guides are available in Kinyarwanda, French, English, German, and Dutch. Staff guides are also available and recommended for large groups. A group of 4-10 people are charged $100, 11-15 people $125, and 16-25 people $150. Groups of students or members of the EAC pay half-price. Visitors are encouraged to use an audio or staff guide as proceeds help sustain the memorial, though visitors opting to tour independently are of course welcome. The memorial centre is open everyday from 8am to 5pm, but the last entrance is at 4pm. They recommend allowing 1.5 hours time to see the full exhibit, but I’d advise setting aside at least 2 hours. If you’re like me, you’ll want to soak up all information possible. There is a lot to take in and it’s all worth reading, seeing, and watching. I went with a group on a strict itinerary and I felt rushed at the end. Not to mention in a haze the rest of the day. If you are going for the first time or bringing visiting family or friends, remember the information is heavy, so plan accordingly. A nice feature at the memorial is the Museum Cafe. After touring the exhibits and memorial grounds, grabbing lunch or a coffee at the cafe is a nice way to unpack and perk up, not to mention support the memorial. Daily specials of soups and sandwiches are average price – Rwf 2,000 to 4,000 per menu item. 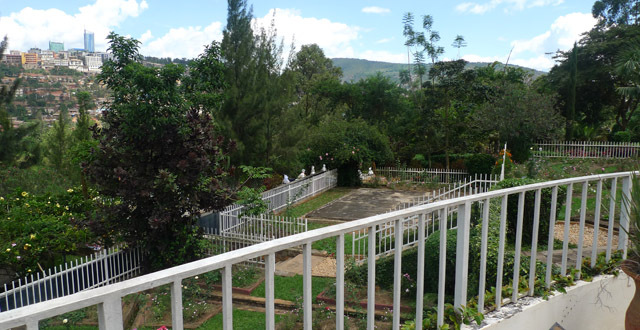 The Kigali Genocide Memorial is located in Gisozi. Tell any moto where you’re going and they’ll know! Hours: 8pm to 5pm daily (must enter by 4pm). Opens at 2pm on Umuganda Saturdays. Is the memorial open even on Sundays? I visited this site in Dec. 2014. Entering the site marks a moment of agony, pain and anger, (anger to the then leaders like Bill Clinton who said US never had any interests in Rwanda),and various UNIONS and african dictators who were watching while ppl were being butchered. Those who set up this site did well to always remind whoever visits, esp, banyarwanda about what transpired and how to avoid it in future. Let not politics divide us coz we are one “Turi Bamwe” Politicians are greedy and selfish beasts in whose era blood is shed and they see it as normal.